We’ve talked about metabolism boosting foods and foods that help you relax but what about foods that give you energy? Those are extremely important, especially since many of us need tons of fuel to get us through our busy days. On an average day I work on my blog, write posts for other awesome sites like this one, hit the gym or a yoga class, try to make homemade healthy meals and always get time in with friends and family. I’m sure a lot of you have similar schedules, give or take a few things; but work, fitness, meals and socializing are pretty typical daily must-dos. And you can’t properly balance all of that without a healthy diet that’s high in energy-boosting foods, now can you? You don’t need to reach for that second (or third) cup of coffee. There are healthy and tasty alternatives that will give you sustained energy rather than the jolt and crash that comes with lots of caffeine. Energy comes in the form of protein, fiber and complex carbs – so a diet rich in those nutrients is key to a healthy boost! These ideas will increase your energy all through the day. So whether you need a boost before a workout, or need to stay alert through back-to-back meetings, these foods that give you energy are for you! Spoiler alert: you’re going to be SUPER happy about the last two! Oh, kale, the most trendy superfood of them all. But it’s not a hoax; kale is rich in nutrients and contains antioxidants and fiber to fill you right up. It also contains brain-healthy L-tyrosine, an amino acid that boosts your mood and gives you a mental lift! Try this kale salad – it’s one of my faves! I usually eat all-natural peanut butter on toast or a banana every morning, and it really helps to keep my tummy satisfied. The spread is packed with healthy fats, fiber and protein that help stave off hunger. 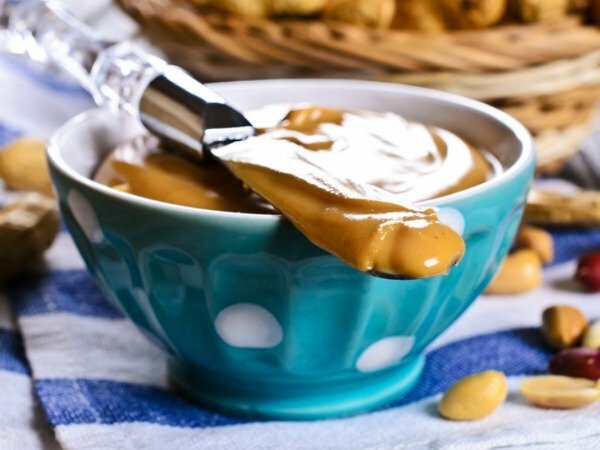 Stay away from the ones with added sugar – organic, all-natural PB is the way to go! Okay, so it’s not a food per se, but lemon water is one of the easiest ways to get energy! Squeezing lemon into your water infuses it with electrolytes, which are essential for cells to produce energy. Staying hydrated also ensures your mood is nice and elevated! YA, popcorn makes the list! If you refrain from dousing it in butter, popcorn is actually a great whole–grain snack that’s rich in fiber and carbs. Pop some at home and bring it with you to work for a filling mid-day snack. I saved the best for last, my friends. Dark chocolate is a killer antioxidant and works to enhance our moods and energy levels. It contains theobromine, which is a natural stimulant that’s similar to coffee, to give you the boost you need. Just make sure not to overdo it – too much sugar can lead to bloating and weight gain. 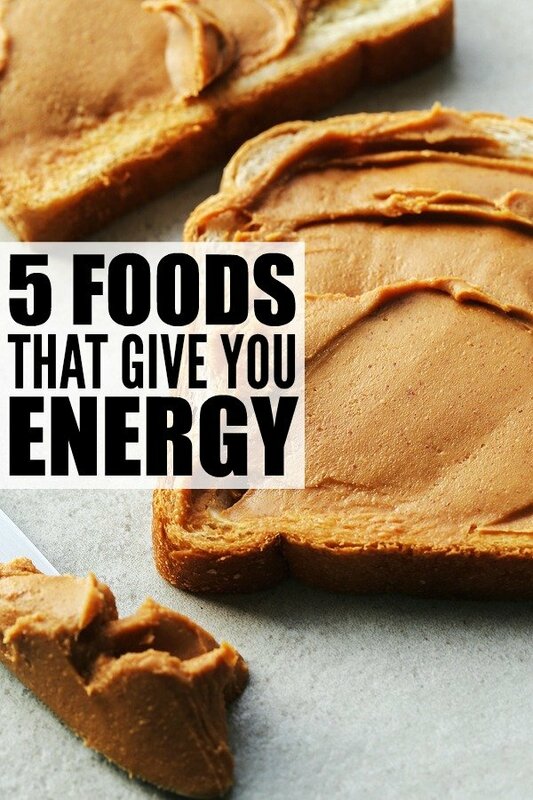 If you found this list of foods that give you energy helpful, please share it on Pinterest!